Do you have one of those days where you just feel down? Unmotivated, or even just lousy? We all have those days, so you’re not alone. As someone who has had to deal with depression in the past, I’ve come up with some simple but effective ways to improve your mood. When I’m feeling down in the dumps, I usually lack the motivation to do anything. Over the years, I’ve come to understand the importance of self-care. AS well as how it can help me overcome some of my rougher days. If you have any tips yourself, it’d be great if you decide to share it in the comments below. It may sound silly, it may also be embarrassing at first. But I cannot stress enough how great affirmations are. They have seriously helped turn around my entire mind-set, the glass is half full, not half empty. Any time I feel down in dumps or just lousy, I pull out my journal and flip over to the affirmation section. It also helps to write them down as well, so you can check your affirmations any time you’re at a low point. I recommend saying affirmations every day, even if you’re having a good day. It thus makes your affirmations habitual, and provides long-term benefits. You can also recite your affirmations in the morning and at night to boost your mood for the day and secure a well rest. First, get yourself in a comfortable position, either sitting or laying down. If you’re uncomfortable, you’ll definitely be more concerned with that then finding your centre. Try your best to get rid of any distractions, this includes devices and people. Just like being uncomfortable, they will hinder you. Close your eyes and breathe naturally. Now focus on your breathing, as you inhale and exhale. But be careful not to through force it or control your breathing. You can start meditating in small intervals such as five minutes at a time. Then increase as you get more comfortable with it. It has been shown time and time again that if you consistently eat junk food, it can negatively affect your mood over time. But did you know, that if you do the opposite, your mood can be brightened up? Whenever I’m feeling down, I grab a banana or infused water. Especially if I’m stressed and on a deadline. Music is universal and spreads various regions and cultures. 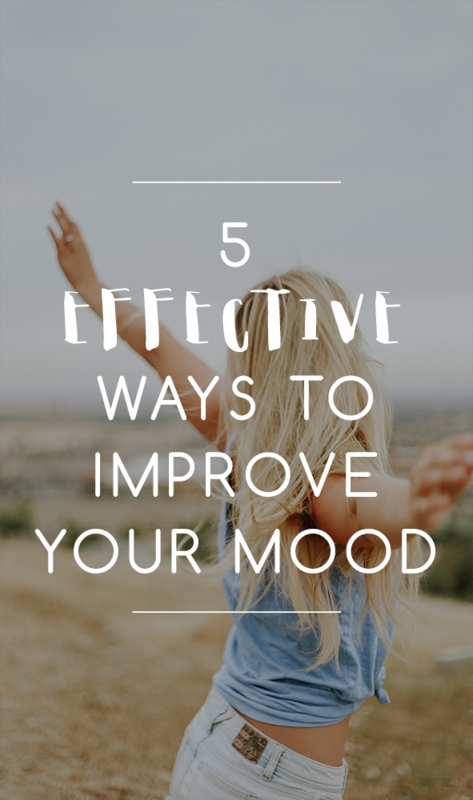 It serves many purposes, but did you know that it can help improve your mood? When I’m feeling down at home, I like to go on YouTube and put on my favourite music. I usually go for something up beat and pop-ish. Personally, ballads just makes my mood worst. And while optional, I dance, and dance until I can’t no more. This helps release some endorphins that gives me an extra boost. In a way, I’m giving myself a mini work out. Alternatively, you can also play ambient music which aids in mediation and can be very calming as well. 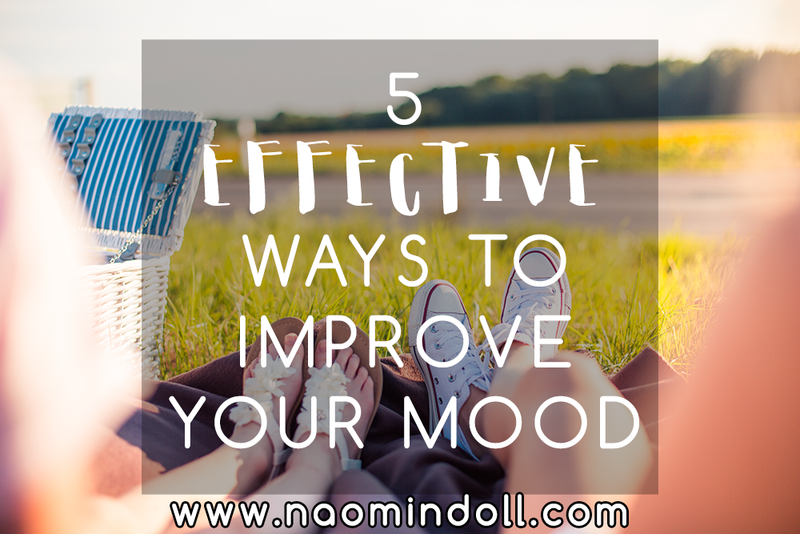 So what are your ways to lift your mood? Don’t hesitate to leave it in a comment below. I can’t wait to read it. These are all great ideas Chloe. Sometimes I can improve my mood by doing a task I have been procrastinating about. And getting outside in nature also helps me immensely. Physical activity is always good and when it is outside it doubles my mood elevation. Great post. Getting out of a funk is SO difficult sometimes. I love all these suggestions but my favorite is putting on music and dance. Sometimes just the music alone is enough to help then the longer I listen the more likely I am to dance.